The highlight of last week was a two-hour workshop on TouchDevelop which I presented to teachers who are part of the New York City Department of Education Software Engineering Pilot program. That’s me presenting below. There was a great bunch of really smart and enthusiastic teachers there. I hope they enjoyed it as much as I did. It brought me back to Brooklyn where I grew up which was an added bonus. It was great to walk those streets again. 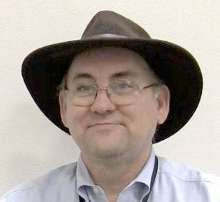 I added a blog by John Olsen to my computer science education blog roll. Let me know if I am missing anyone who should be there. Chris Leach @chrisleach78 is working on a list of female ICT icons. That is women in the field of computing who have been recognized for their accomplishments in the field and not icons/images of women. Just to be clear. An HTTP error 404 is when a web server can not find the page you have asked for. One can specify a specific page to show for this error and one group has really done a 404 page in a special way. I had to share this list of 10 things classroom teachers need to know about modern school librarians via @LibraryAllegra because its just so true. Building a SHIP – Outreach is the latest post by Mike @Zamansky talking about the summer program for students to learn computer science that he has been running this summer. Seems like a great program. There is so much great stuff happening in New York City with regards to computer science education. Mike Zamansky’s SHIP program. 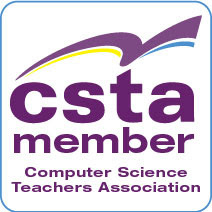 The SEP program putting CS in more schools. And the many efforts supported by the NYC Foundation for Computer Science Education (CSNYC). It will be interesting to see how this plays out over time. Will it start making “Silicon Ally” a force to be taken seriously by the people in Silicon Valley? We’ll have to wait and see. You are doing a lot of great stuff at Stuyvesant for sure.